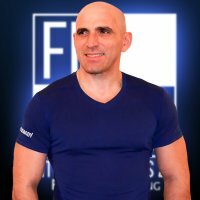 Domingos Folgado has a Level 3 Personal Trainer and Advanced Training System qualification. He has extensive knowledge and experience as a Naturopath and specialist in traditional medicine along with different massage technics. Domingos’ specialty is rebalancing the body and full body transformation. Want to transform your body – Domingos’ one-on-one training programs not only deliver the result what you want but you enjoy work with him as he uses diverse training methods keeping you on track all the time. Domingos Folgado Personal Training 10 Sessions £600 GBP20 Sessions £1000 GBP30 Sessions £1350 GBP Name Tel No. Email.